Kathryn Hahn delves into why the Amazon series 'Transparent,' which she stars in, has resonated with a wide ranging audience despite it's relatively niche subject matter. Larry King: 'Transparent' is a hit, why? 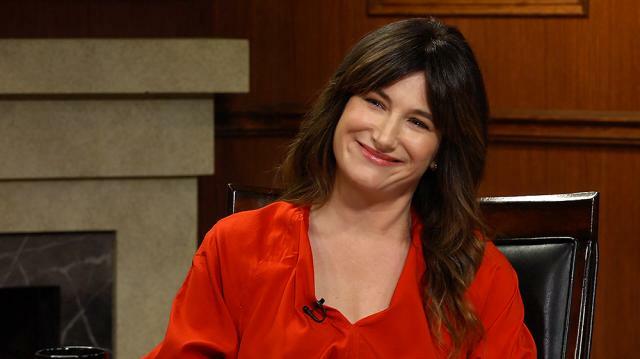 Kathryn Hahn: Oh. Well going back to what I was saying before, I think it's because it is so deeply personal and so, like, so incredibly specific. It's in that specificity that you see, even though the story is not what we all experience in our families, there is something about the detail of these people that is so universal. And, you know, she was saying if there is a, if there is a running theme- and each season kind of was another Jewish holiday- we would say that Season Three is Passover. It's the holiday of liberation. Everyone, from Maura on down, has, is, has made it through the wilderness. They're now in the desert. And so it's now, that question is like, "Now what? Like what now?"